« The Crown series three cast, plot and when is it released on Netflix? 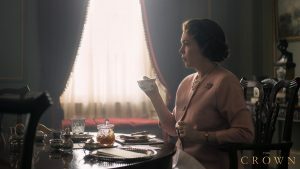 God save Olivia Colman: Netflix has released a first look image of the new star of The Crown in character as Elizabeth II. The Broadchurch and Peep Show star may not be doing much in the new photo – she’s simply sipping tea with her toast and marmalade – but this sneak peek means that filming has finally begun on the third season of the royal drama, due later this year. So, what can we expect from Colman’s reign? 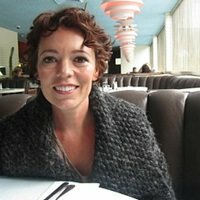 The actor – who replaces Claire Foy – will play the monarch from 1964, with her first season likely to explore the queen’s unusually steady relationship with Prime Minister Harold Wilson. Plus, we’re likely to see the decolonisation of Africa and the Caribbean, the birth of Prince Edward (March 1964) and a larger role for Prince Charles following his investiture in 1969. And if you’re not already excited enough, here’s a reminder that the season three cast also includes Outlander star Tobias Menzies as Prince Phillip, Helena Bonham Carter as Princess Margaret and Jason Watkins as Harold Macmillan.